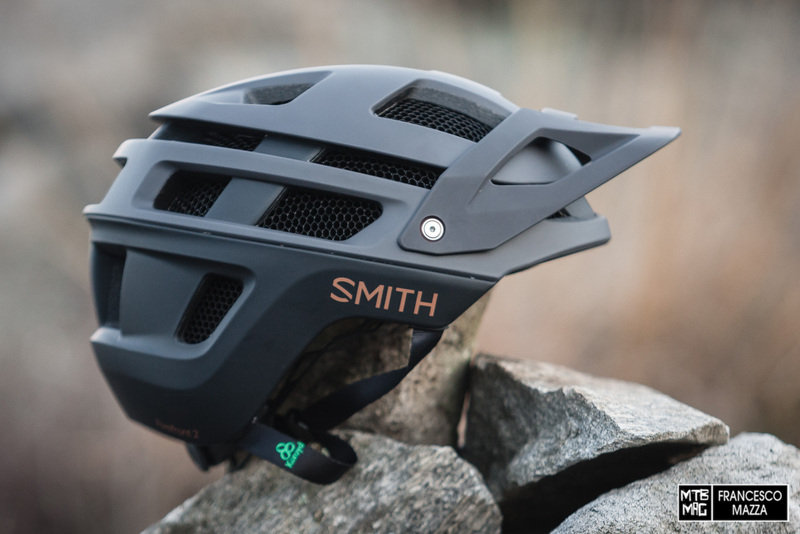 Smith Optics, a US brand among the leaders in action sports goggles and sunglasses, in recent years has also delved into the world of high quality helmets, both in the snow sector and in the bike sector. 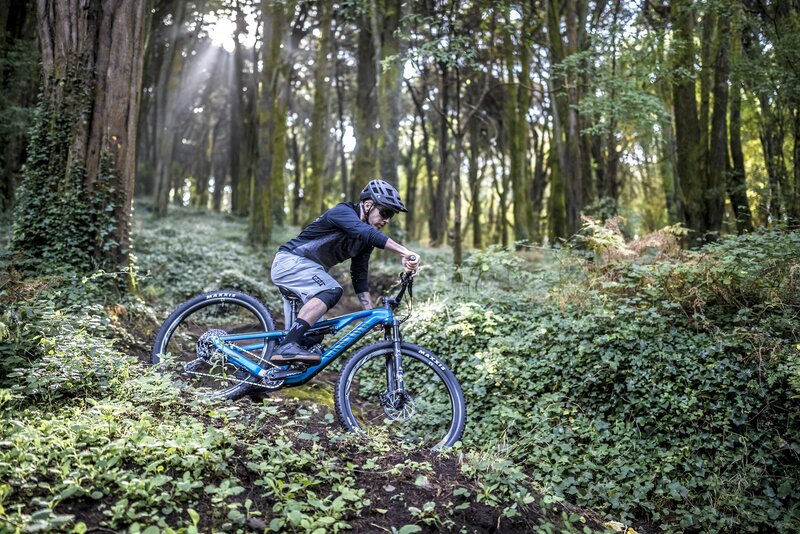 There are several models dedicated to MTB and, among these, the Forefront has become quite well known. 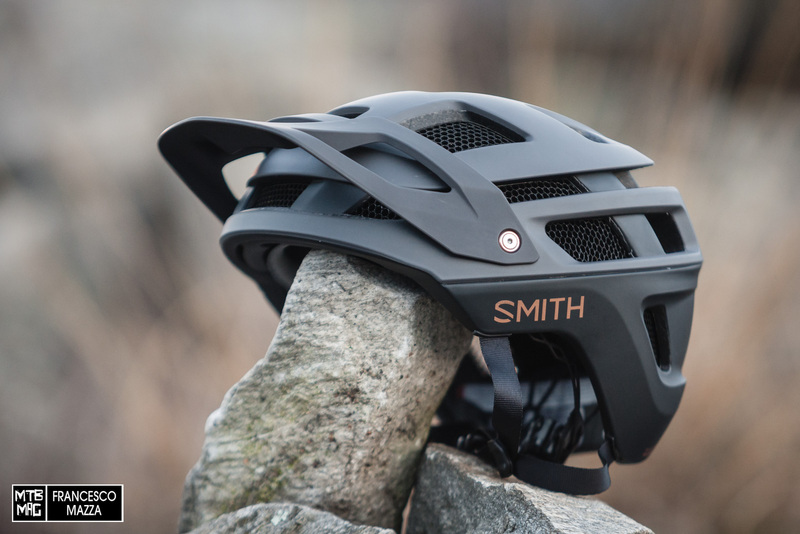 Smith has completely redesigned it with the Forefront 2 model presented last summer, which maintains the same design style as the previous model while updating its main innovations with new features. The shape of the Forefront 2 lid is completely new, drawing from the radically round shape of the previous model and its particular design of the air intakes, including the long slit that runs transversely around the upper part of the helmet and offers the possibility of housing the eyeglass arms to fix them on the helmet both on the front or the back. The new Forefront is longer in the back to provide more protection to the occipital area. The Aerocore construction is a structure that, through an internal skeleton, joins the inner EPS shell with the outer cover and inserts in the Koroyd, a material able to absorb and dissipate the energy of the impacts while allowing the passage of air through its open cell construction. The visor is rigid, made of a quality material and with a curved shape, and large air intakes. 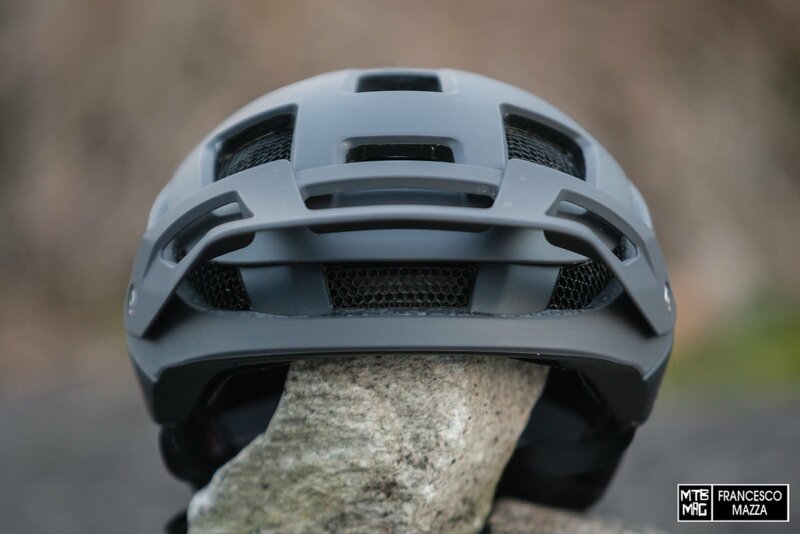 It is fixed to the helmet by means of small steel screws that thread onto captive nuts glued into a special plastic support, incorporated into the shell. This support is also equipped with notches to adjust the height of the visor, selectable in three positions. The highest is ideal for leaving adequate space to place goggles on the helmet, since the Forefront 2 is perfectly compatible with them. In the photos in this article, the visor is adjusted to the intermediate position. The visor does not remain firmly locked but, while effectively maintaining the selected position, tends to swing and rattle slightly. 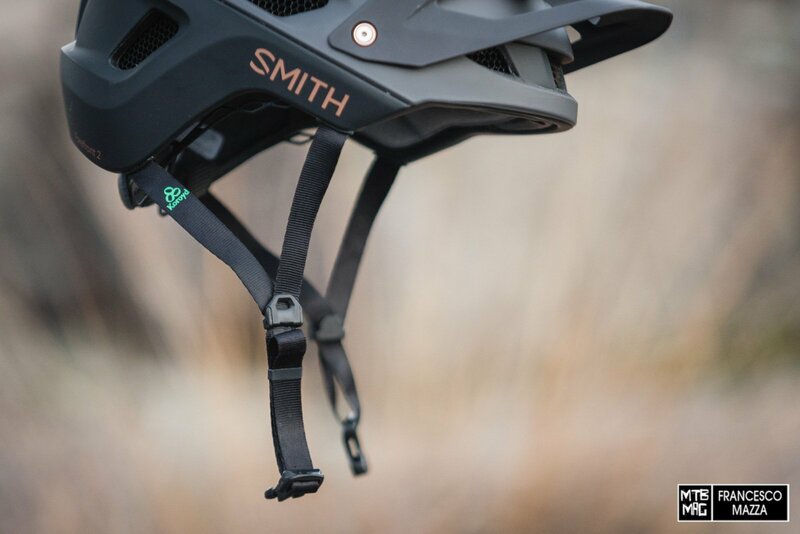 The Smith Forefront 2 helmet has seven front ports for air entry, five of which are protected by Koroyd inserts, which however slightly dampens the air flow rate offered by the large slits. 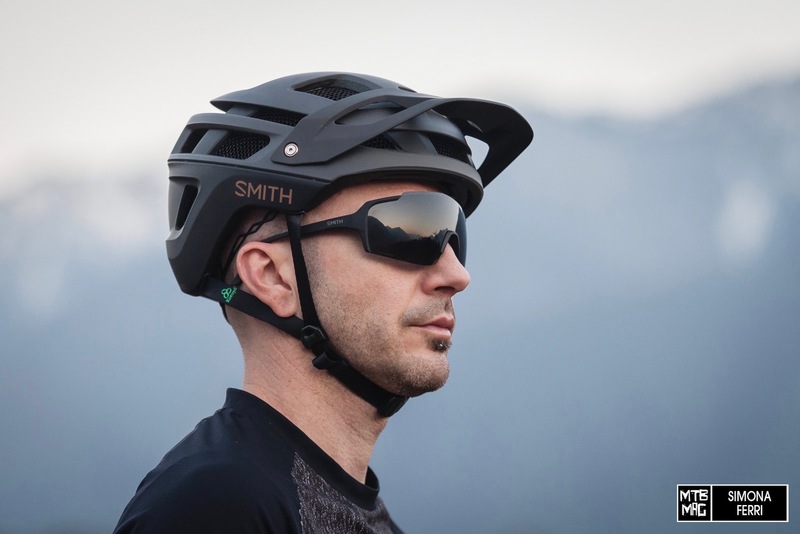 Thanks to the AirEvac system, part of the incoming air is pulled from the bottom of the front edge of the shell to create a ventilation dedicated to the lenses of the glasses or goggles in order to avoid fogging. The vents for the outgoing air, placed laterally and posteriorly, are thirteen, of which twelve are protected by Koroyd inserts and one, the central one, free to drain the greater flow of outgoing air that leaves through the main channel. 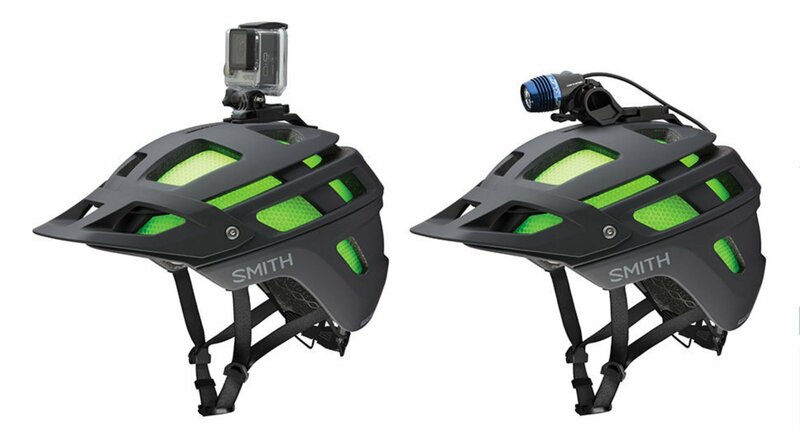 Smith provides an installation kit for a helmet cam or lights, sold separately, which attaches to the helmet through a screw in the middle of the top of the shell. The screw hole, when the kit is not used, is sealed with a plastic cap. 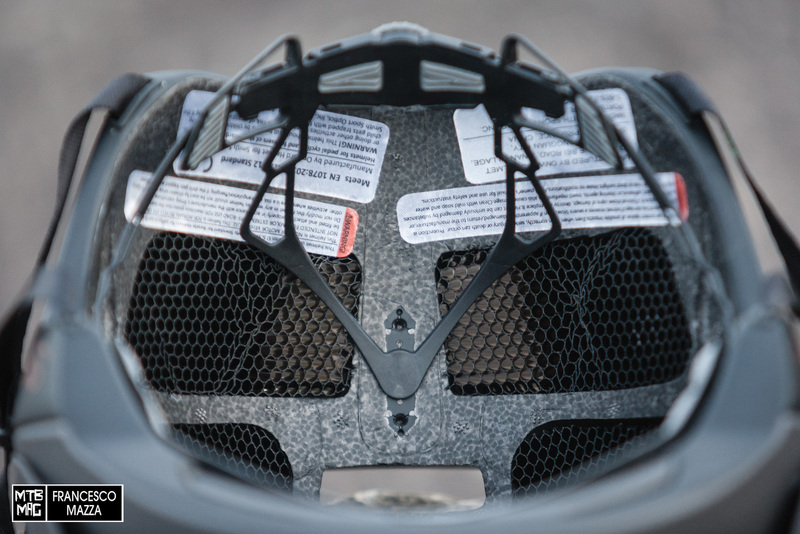 In the event of a strong impact, the support is designed to separate from the helmet for safety’s sake. The padding is minimal to say the least, but extremely effective as it is quite comfortable on your head. It is divided into a front padding that runs to the temples and a small padding for the parietal area. The material with which they are made is the high-quality X-Static, a fabric with fibers that break down 99.9% of bacteria and eliminates odors, also ensuring an excellent dispersion of heat for a feeling of truly superior comfort compared to the padding made with traditional materials. In the following picture you can clearly see the extension of the Koroyd inside the shell and you can see the air slit of the AirEvac system dedicated to the ventilation of goggles and masks. 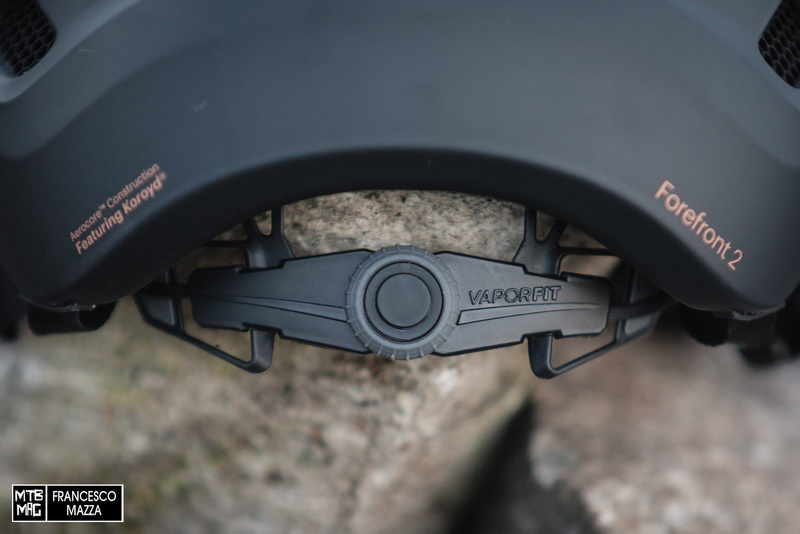 The closure system of the Forefront 2 is called VaporFit and relies on a wheel that, thanks to a series of precise, perceptible clicks, adjusts the circumference of the closure of the helmet over a range of 5cm. The wheel is equipped with a knurled rubber coating that rests on the occipital area of ​​the skull. Overall, it’s a very comfortable and useful solution to keep the helmet in place. The height of the support plate on the occipital bones is adjustable between three different positions, thanks to a four-hole central mount. In general, the shape of the whole rear area of ​​the retention system is very concave, so the variations in height are distinctly felt in terms of comfort, compared to other helmets with which this adjustment is often not very influential. It should be emphasized that when you adjust the system to the highest position, the wheel gets too close to the lower edge of the helmet shell and it becomes quite difficult to rotate, to adjust the closure. In the following picture you can also see how the Koroyd is integrated into the EPS structure at the back of the shell. The adjustment of the retention system also includes the zone of the temples, where it is possible to fix the VaporFit system in two different positions, thanks to its three-hole anchor. The closing system is assisted by a very thin front strip, housed under the padding, which is fixed to the shell together with the VaporFit system terminals. This way, the closure emulates a 360 ° system creating a partial floating effect of the helmet which is therefore more stable, especially in particularly rough sections. Smith calls this system 360° Halo. 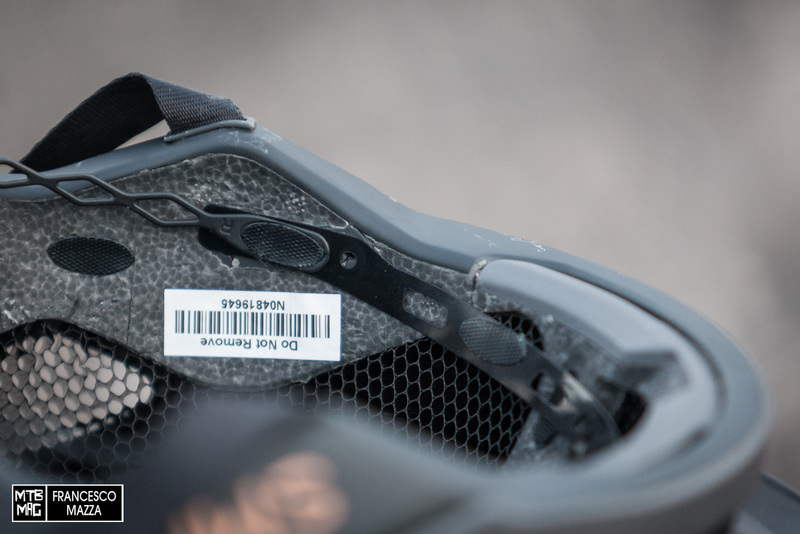 The straps are firmly fixed inside the lower edge of the helmet shell, which is entirely protected, and the slot from which they come out is sealed off by a plastic fitting. The straps are single-layer, soft and light but at the same time robust. The fixing system of the intersection of the straps is adjustable by clip closure; a system that I sincerely have never liked much and to which I prefer a fixed intersection that leaves more space around the ears, especially if it comes to helmets with straps attached to the cap. However, the very soft straps adopted on the Forefront 2 make this system very comfortable, so I think I can promote it. During these months of testing, I used the Forefront 2 consistently and very willingly, appreciating its precise and comfortable fit and the feelings of solidity and confidence it infuses. 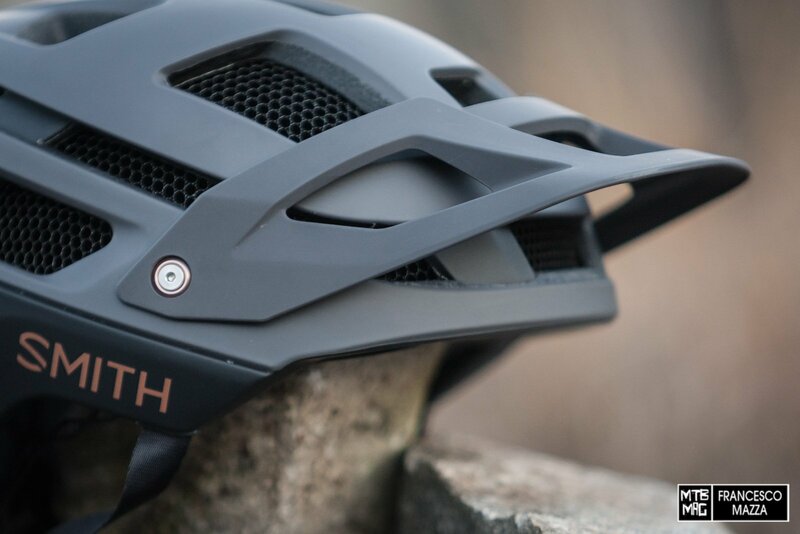 Speaking of comfort, it is not a helmet that entrusts the fit to generous padding to offer a sort of “slipper effect”, but it’s the quality padding and precision of the support system that makes the helmet comfortable, in spite of the minimal padding. The material of the padding guarantees an exceptional feeling, rarely found on other helmets, with excellent temperature regulation and a good insulation from perspiration. The compatibility with goggles and masks is perfect, both when you wear them and when you place them on the helmet, where they are comfortably and firmly placed under the visor. The Forefront 2 remains firmly on the head even in the fastest and roughest terrain, with a mild floating effect that allows it to absorb movements without moving drastically. I started the test in the fall, so I could not test it on hot summer days, however the ventilation seems to be excellent, and the heat dissipation is adequate. 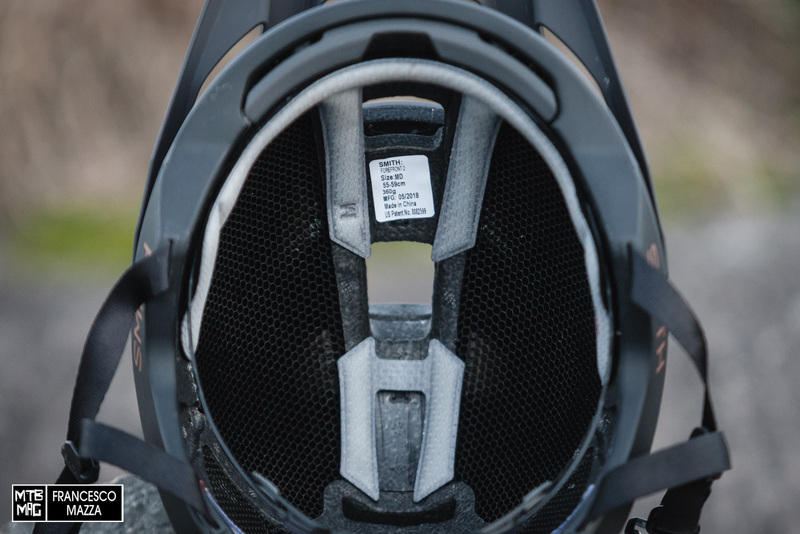 In addition to aiding in the absorption of impacts, Koroyd creates a barrier that prevents debris and insects from entering the helmet and creating discomfort or distraction during riding. In conclusion, the Forefront 2 is a very high quality helmet, designed with great attention to detail and comfort comfort in mind. 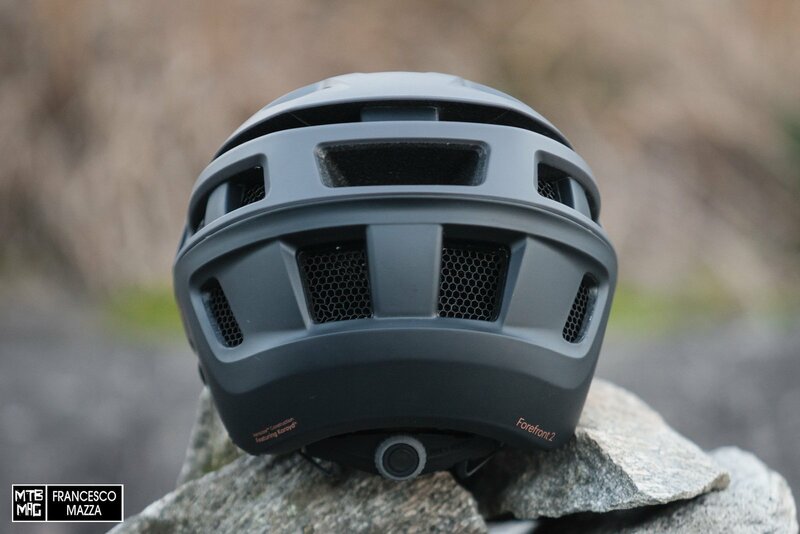 All of its features make it a top-level helmet, standing out for its unique design without losing sight of what matters most – comfort and safety.